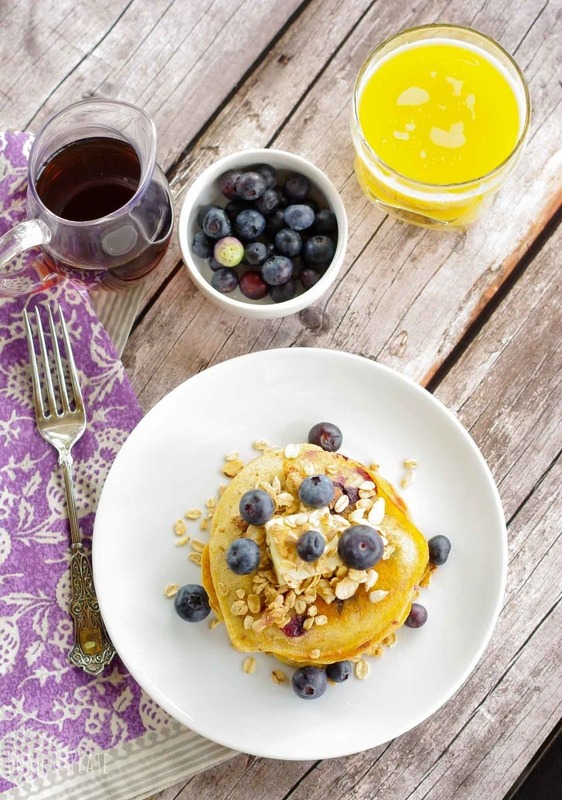 These blueberry granola pancakes are the perfect way to start the weekend. The added granola adds a punch of protein to this easy breakfast favorite. When the weekend arrives I prefer a breakfast that isn’t your typical bowl of cereal. Saturday morning is the perfect time to whip up a pancake breakfast for the family. My kids and I have been on a granola kick lately. I make it from scratch and we sprinkle it on our cereal and yogurt parfaits. I always have a container of it in the pantry. So one weekend morning we decided to add it to our homemade pancakes for a little added crunch. The result was delicious. 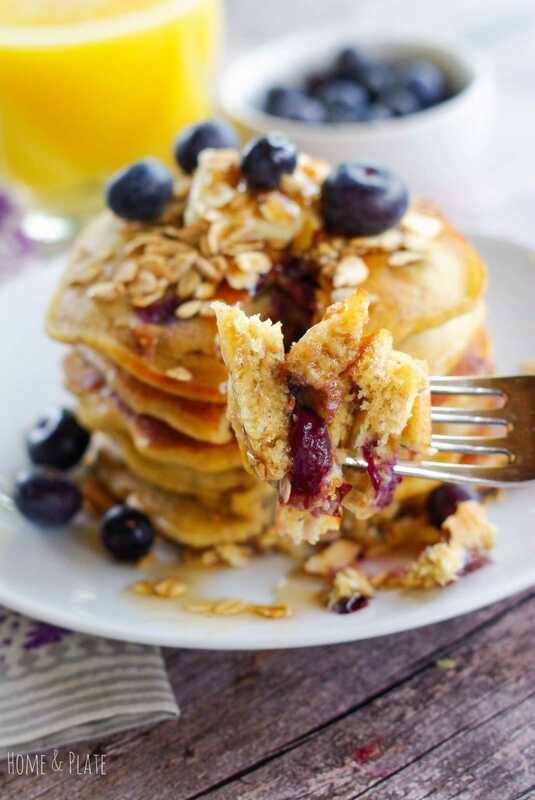 These Blueberry Granola Pancake Stacks turned out fluffy and soft in only minutes. A drizzle of maple syrup and a sprinkle of granola on top and breakfast was on the table in minutes. 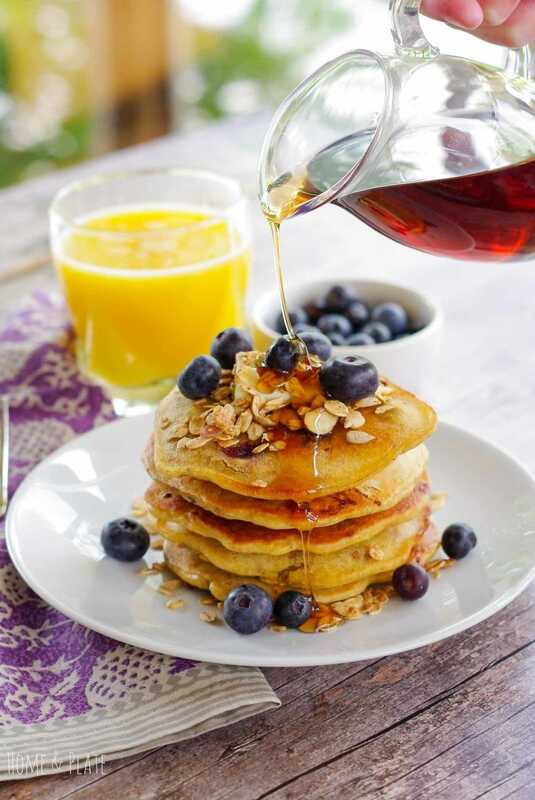 Adding granola to your pancakes adds protein you wouldn’t get in an ordinary stack of pancakes. Crispy oats, crunchy nuts and fresh blueberries are baked right inside. I usually make my pancakes from scratch but have been known to simply add granola to store bought pancake mix. It’s just as delicious. I love granola and I’ve also been known to put it in my chocolate chip cookies. The kids love that recipe too. Make your own granola for these pancakes or pick up a bag that is protein loaded. 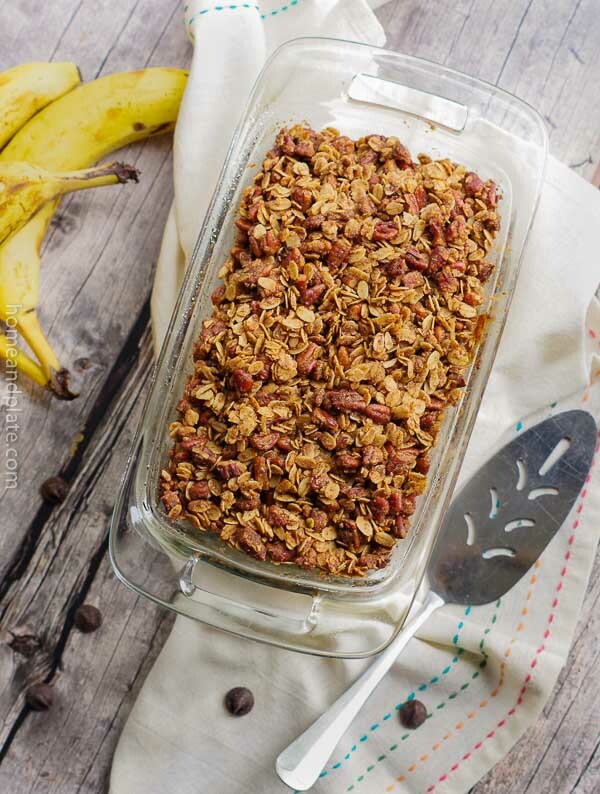 Be sure to check out all my recipes made with homemade granola. Mix together your flour, baking powder, baking soda, salt, sugar, egg, milk, granola and half the blueberries. Using a soup spoon or a small ladle, pour enough batter onto your griddle to make pancakes of any size you like. Sprinkle a few blueberries onto the pancakes were needed to fill in any empty spaces. Flip your pancakes after 3 to 4 minutes or when you see bubbles and the bottoms are browned. Finished cooking until the second side of your pancakes have browned. I would usually only have pancakes or granola, so I love that you have put them together. Thanks Dannii…I needed a way to get added protein into my swimmer and he gobbles these down. YUMYUMYUM! I always want to make all of your recipes, and this one is no exception! Love the added granola! This looks like a delicious breakfast!! My daughter would love this. I will have to make this and surprise her! Thanks for the great recipe! 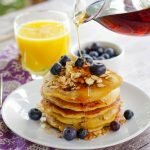 I love pancakes made with oats yum.. and that topping is brilliant! I don’t know why I never thought to top them something crunchy! How yummy!! I bet it’s more filling this way too. 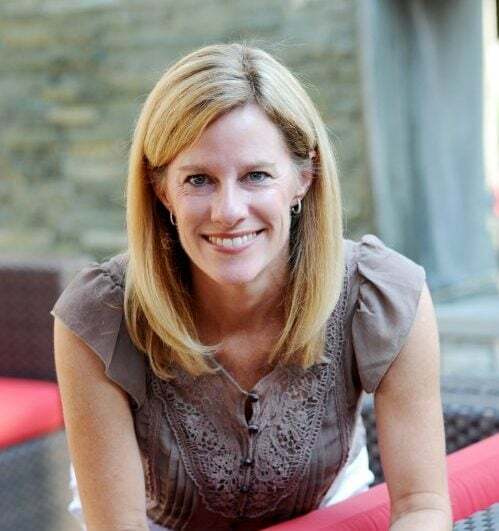 Thanks Sarah…my kids love these granola pancakes and they add a little umph to your plain pancakes. Oh so pretty! I love that it has granola! I am sure that it gives the other wise soft food a nice crunch. they looks so fluffy and yummy..perfect pancake for breakfast..thx for sharing the recipe. They are a favorite in our house. There’s something about the granola and the blueberries that I can’t resist. Thanks so much Citra.